After going to sleep about 0315 this morning, I was watching the newest Star Trek movie again, I woke up about 0815 in the midst of the 12 hour scheduled brown out. I hope that all these brown outs lead to better electrical service. As I have told people here already, and in the comments you can see that Gary agrees, that the new businesses will not put up with all these outages, so there must be something in the works to resolve it. By 0838 I was actually out of bed and Lita was already telling me she wanted french toast for breakfast. We shared the duties on that. She made the mix and did the dipping and I did the cooking and most of the eating. Cathy came by, as she normally does on Sunday morning, and acted like she has never had french toast before, so Lita gave her a couple of them. She liked it, but was not overwhelmed. She did ask Lita how to make it though. 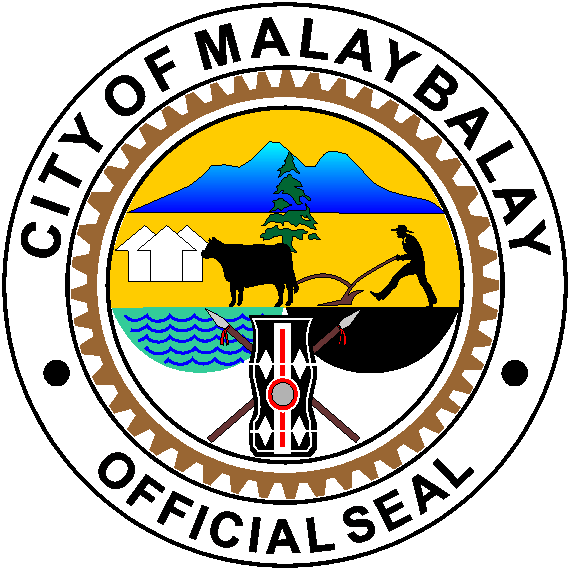 The City of Malaybalay (Filipino: Lungsod ng Malaybalay; Cebuano: Dakbayan sa Malaybalay), dubbed as the “South Summer Capital of the Philippines”, is a first class component city and the capital and administrative center of the province of Bukidnon, Philippines. The city is bordered north by Impasug-ong; west by Lantapan; south by Valencia City and San Fernando; and east by Cabanglasan and Agusan del Sur. 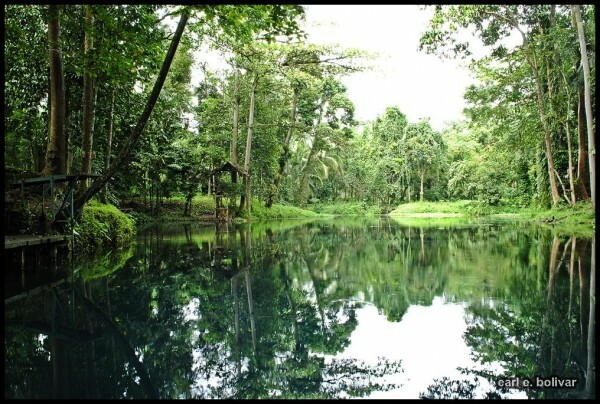 It was formerly part of the province of Misamis Oriental as a municipal district in the late 19th century. 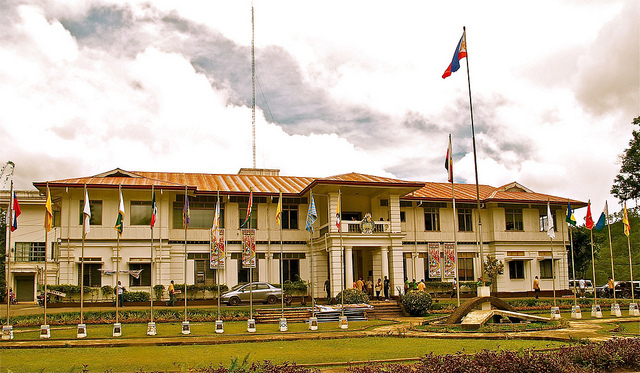 When the special province of Agusan and its sub-province (Bukidnon) was created in 1907, Malaybalay was designated as the capital of Bukidnon. It was then formally established as a municipality on October 19, 1907 and was created into a city on February 11, 1998 by virtue of R.A. 8490. When Spanish explorers came to the central portion of the province in the late 18th century, they inquired as to the name of the town. 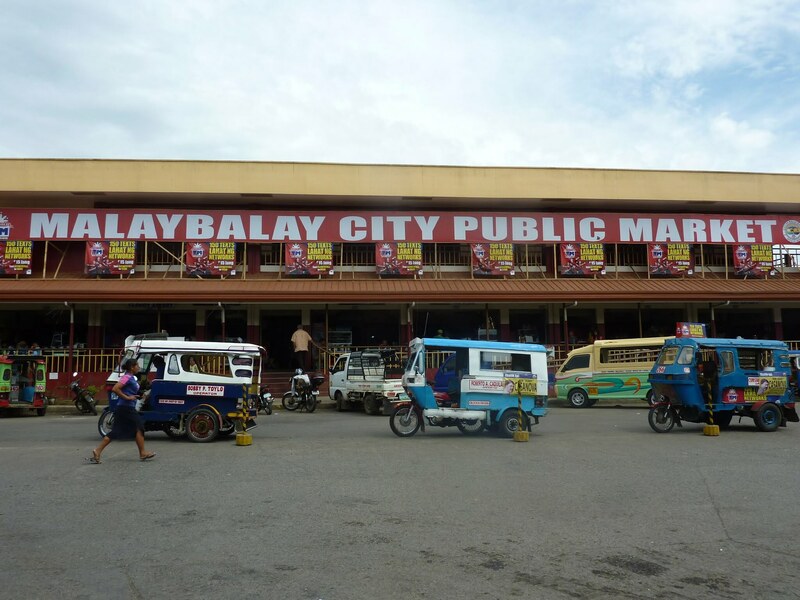 The people replied in Cebuano “walay balay”, which means “no house”. 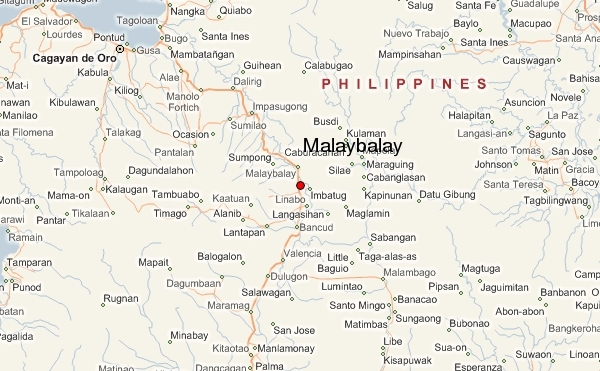 The Spaniards mispronounced the name and repeated it as “Malaybalay”. 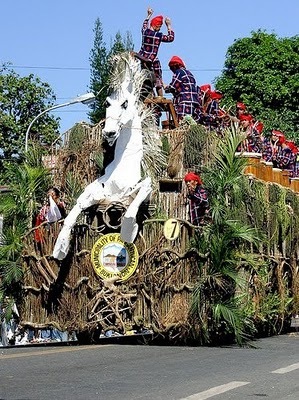 Malaybalay City is the venue of the Kaamulan Festival, held annually from mid-February to March 10. After eating and goofing around a little bit, I finally made it outside to open LolyKat about 10:00. I have the portable fan with me because the breeze in the store is not consistent. Just about everyone else around here, that are still here, are sitting at the picnic table and the breeze there is better. Earlier this morning, before I was actually awake, I heard something about people going to the beach to get away from the brown out heat. I believe they were going to a beach other an Malajog. I wasn’t interested in going regardless, I just wanted to go back to sleep. 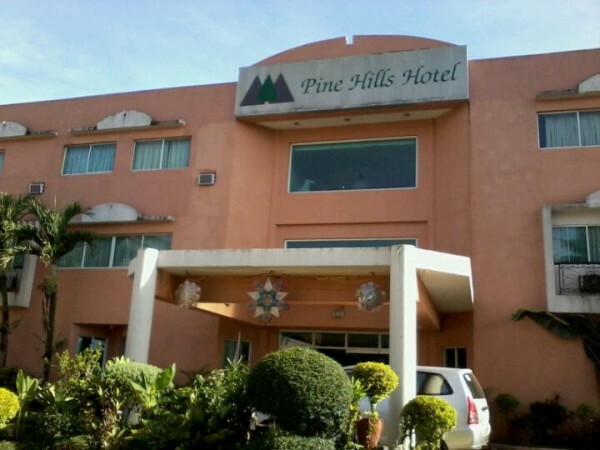 It turns out that only Ramil and his family went. Mar was the one doing the inviting, so I guess his oldest son would have a hard time saying no to him in that situation. It’s about noon now and everyone is still at the picnic table except me, Cathy and Precious. We are in LolyKat. We are all still waiting on the electric and hoping that it comes back on early. Anytime early will be welcomed, but coming back on late, gets lots of complaints. I’ve been refining my new Categories for the new look website. It seems that my first try of 18 was too many especially since I didn’t really understand the concept of what I was doing, exactly. I understand it better now, so that’s why the 2nd attempt. I cut the number in half and I tried not to repeat anything (like I did the first time) in the sub-categories. As soon as the power is restored I will be able to send that off for review. I expect to get a better response this time. I still think we should have every completed by 26 Mar (2012) and hopefully that will be the grand unveiling day also. This new site will be more interactive with y’all being able to send input for just about anything on the site. Of course I’ll have to approve whatever you send, but with so many different experiences coming in, we’re sure to have a nice variety. I told Rich that I only really wanted 2 things with this blog. First of all I do want to make money with it if I can. Second I do not want to bombard the readers with advertisements. I don’t like that when I go to a site and I’m sure it’s not a favorite of most people out there. I told him that I would rather make a little less money then to alienate y’all over ads. The cool part is that new agrees completely and feels the same way. One of his websites, Philippines or Bust, is set up with minimum advertisements. I’ve been selling a lot of ice out here in the store today. I must have sold at least 30 of them so far. I was thinking earlier that we should be selling the ice for P3 each instead of P2 because the bag we use seems bigger than the others I’m seen. Two things changed my mind though. First and foremost is that if we sell the little larger bags for the same price as the people selling the smaller looking bags, then the customers will come to us for their ice and if we have something else they want, they are already there, so why not get that too. The second reason is that Lita discovered that the large skinny bags we use holds the same about of water as the short fat bags that everyone else is using. Our bags just look like it’s more, they aren’t really, but the perception that they are sells and our bottom line is to get the sales. Casandra makes me nervous running on this concrete. She’s still a little wobbly when she runs and she has fallen down twice and almost 2 more times. I just think that one of these times she’s going to fall on her head. Running is new to her though and she likes it, so it’s hard to tell her not to do it. Everyone else here just started eating. I’m not really hungry right now, but when I’m ready I still have enough stew left in the refrigerator for a couple more bowls. I am getting thirsty again, but that’s not unusual, I’m always willing to consume a liquid of some kind or another. I’m not as picky at things to drink as I am at things to eat, although there is some “pickiness” there also. A couple of weeks ago I guess it was, I taught Khan how to add the big numbers like 200 + 300. I explained to him it was the same as 2 + 3, except you had to remember to say hundred, thousand or million, whatever I said, just repeat it. His older Crystal sure got big eyes when she couldn’t answer the math questions, but he was getting them correct. So I told her “the secret” of how to do it. After she got it down, we worked on subtraction, same principle. When Crystal starting getting the answers before he was, Khan’s reaction was “Sh!t” I sh!t you not. Of course Precious echoed what he said. I was sure that neither of them knew what it is but I had to mention it to their mom, Cathy. I guess Cathy didn’t understand what I was talking about because she did the little smile, said “yeah” and then turned to leave. That’s what she does when she has no clue what I’m talking about, but she doesn’t want to seem rude. I told Lita later, but I don’t think she said anything to Cathy about it. I suppose if they ever happen to say it at school and get in trouble for it, then something will be said. Speaking of Math, I guess no one knows how to get a new add/subtract exercise introduced into a school curriculum? I’ll ask Mar and/or Marianne. Marianne teaches Math at the University and Mar is the Vice-President, so maybe between them, I can get an answer. At 2:20pm I decided to eat 1 bowl of that stew. I didn’t want to eat too much because I wanted to save a lot of room for BBQ later. I wasn’t that hungry because I guess those 6 pieces of french toast this morning are doing their job. Lita’s been marinating that chicken and pork for a couple of days and I don’t want to disappoint her by not eating any. (Like that would ever happen). The electric came back on at 5:15pm. Okay so it’s much later now (8:33pm). I have already had my BBQ and it was delicious as it always is. Titing tasted some for the first time and he agrees that Lita should sell this BBQ. We plan to do just that after we return from Texas. Usually Titing just says, “It’s okay” or “I like it”, but for him to go as far as to say to sell it, well that speaks volumes. Ramil brought his friend the computer tech by tonight. After a lot of discussion we all decided that the easiest and least expensive thing for me to do (because it will be free) would to change back to Windows XP for now. As I suspected, and now they do too, the DVD player is not working because there are no drivers for Windows 7 for it. It’s probably the same thing that is causing these damn lines on the screen. We’re going to go back to XP, I have one that I bought here, and see if that does the trick. I sure hope so because I’m afraid I’ll be in a mood and hit the monitor when the lines come up too often. We should be doing that change on Monday night (the 5th). Ramil will bring a couple of games from his friend to put on here for me though. The computer tech’s name is Ernani (Er-nay-nee). He does seem pretty knowledgeable about the computer and if this doesn’t work, I’m going to turn the computer over to him for further analysis. After we decided on that, he bought a couple bottles of Red Horse and we drank that. He and Ramil had already had a couple bottles of Tanduay rhum so I had to volunteer to drink 1 of the liters of Red Horse by myself, but it was a sacrifice I was willing to make. After eating 4 pieces of BBQ chicken and about 7 scoops of rice, it was going to take more than a liter to have an affect on me. We stayed out there drinking until just past 10:00pm and he was pretty lit up. He had his motorcycle with him and I tried to talk him out of driving it home, but he didn’t listen. I offered for him to leave the bike inside the gate and he could pick it up the next day … nope! Oh well I ain’t his daddy and it’s the first time I’ve met the guy, so I let him do what he wanted. Ramil seemed to think he could handle it, because he’s done it before. Well it only takes on slow reaction time and SPLAT! Now I’ve taken the keys away from a friend before, a friend that was bigger than me and outranked me, while in the Air Force, but I knew him a long time. He even thanked me the next day. As for this guy, well I haven’t heard anything since he left, so I don’t know whether to take that as good or bad news. I’ll find out when Ramil gets home. Useless Knowledge: Sure, Leonardo da Vinci painted the Mona Lisa, but even more important, he invented the scissors. I don’t mind seeing ads if they lead to something constructive. Just my two cents worth. Oh there will be ads, but it will be only a 1/2 dozen or less per page. I also don’t like it when you click to go somewhere and an ad pops up first that has absolutely nothing to do with the site you are visiting. If I have that, and I doubt it, it would be for something pertaining to the site. Thanks for your 2 cents though. Thank you for shopping at TitP. If your here looking for 5 Mar … sorry. I’ve been trying to get rid of those black lines on the computer. I think I’ve got it done though. I still need for my DVD to work.